He completed his under graduate medical studies in 1987 in Natal. He qualified as an Orthopaedic Surgeon in 1996 attaining his FC(Ortho). In addition to his orthopaedic qualifications, he holds an MScMed (Bioethics &Health Law) from WITS. His first Consultant appointment was in 1997. Since July 2009 he held the position of Professor, Chief Specialist and Clinical head at CHBAH. He has been the Head of Department of WITS Orthopaedic Surgery since February 2013. Prof Ramokgopa fondly know to his peers as “Billy” was groomed in an era were surgical training was militaristic. Under his leadership he narrowed the historical power distance that existed in the department. This allowed for improved interpersonal relationships in the department and contributions from all levels of the department towards improvement. His door is always open his ear is always available, let alone if you put it in writing and send an email at 3am there a sure chance you will receive a prompt reply. His compassionate, engaging and empathic approach to leadership and patient care has led to advocacy not only for academic excellence but patient care. For many in the department he is more than the “Boss” but also a father figure to many also pushing you towards your dreams and goals. This by no chance that the on call team at CHBAH is always on edge for a surprise visit and often at 2 am while nailing a femur Prof Ramokgopa’s silhouette will appear at the theatre door and watch silently for a few minutes before disappearing. In many instances as CHBAH trauma is flooded with patients as the one latest trauma facility in world, the patients lined up and fatigue has set in and you can’t wait for morning often Prof Ramokgopa would randomly appear at 3:30 if you lucky enough to be awake he would assist with a brief round and help clear up the patients. He would lead from the front by sitting down and clerking patient, examining patients and writing notes side by side with the on-call team. His departure would be signalled by a brief walk to his car which would be rewarded by a numerous plastic bags containing soft drinks, sweets and chips for the on-call team and theatre staff. He is often the first to arrive and the last to leave the hospital. This story has been a recurring narrative under his leadership. He entered CHBAH and broke the four unit policy and built strong sub speciality driven units which has placed the department on par with leading global institutions. He brought in morning meeting programme which improved patient care, academic teaching and unified the department that once worked in clusters. 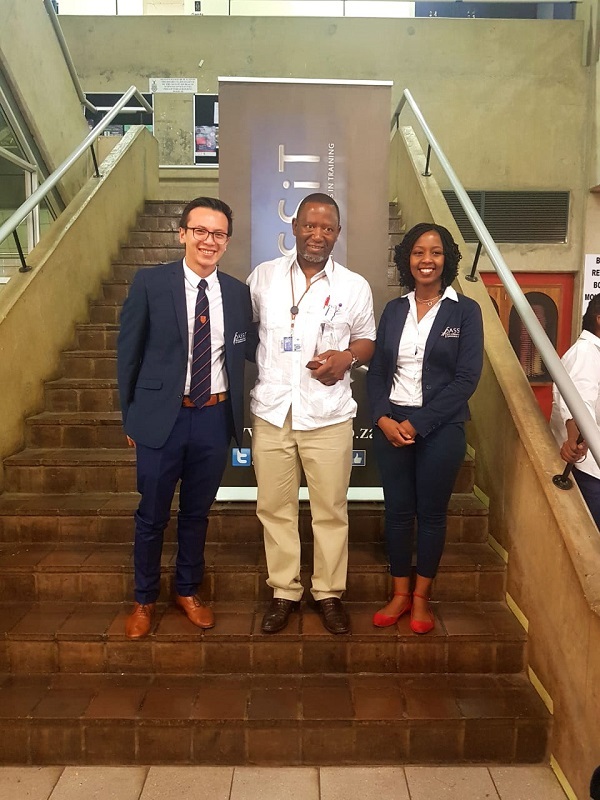 He grew the department to the current 58 registrars (largest in Africa) which includes posts at Klerksdorp, Sebokeng and Thelle Mogoerane respectively, which has increased the foot print of WITS Orthopaedics beyond the central Gauteng area. He has driven academic and research excellence with the development of an internal research unit which he constantly gaining traction through output. This initiative supports the compulsory addition of the Master of Medicine research component to specialist which supports the students. At 2017 South African Orthopaedic Association Congress, WITS university took 1st, 2nd and 3rd prizes in the podium presentations and 1st and 2nd in the poster presentations. He maintains his presence in academic meetings, theatre list and ward rounds regardless to the benefits of his students and patients where his attention to detail is quick to identify a poorly applied backslab. Beyond his presence at WITS he sits on HPCSA board where he influences healthcare at a national level. Prof Ramokgopa is a man that leads from example. He is a nurturing teacher and HOD. The award was presented by Dr Paing Myint (Vice President SASSiT) and Dr Mukiibi (President SASSIT).